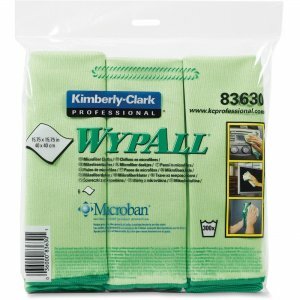 Microfiber cloths with Microban protection are designed for virtually any surface. Microban protection inhibits the growth of odor-causing, stain-causing bacteria on cloth. Each removes up to 99 percent of bacteria from nonporous surfaces when dampened with water. Cloths are durable, remarkably absorbent and environmentally friendly. Cloths can be laundered 300 times.